In This Skin explores feminine identity by reproducing found images of women. Kendra Kummerer has pulled from historical paintings and current images all depicting idealized beauty and sexuality. 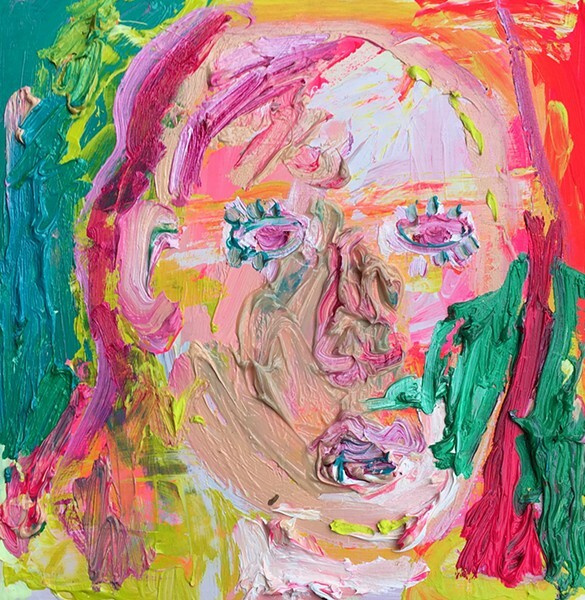 By distorting the image using bright colors, large globs of paint and kitschy craft materials, the work becomes a playful approach to the subject.